Quickscrum allows the user to create a customized Kanban Board where the user manages their work-items continuously on Kanban Board.You can create new Kanban board according to your selection, You will also be provided with a default Kanban board known as Demo Board. 1. 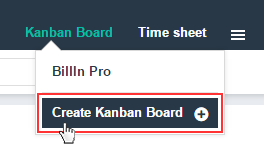 To add a new Kanban Board, click Create Kanban Board. 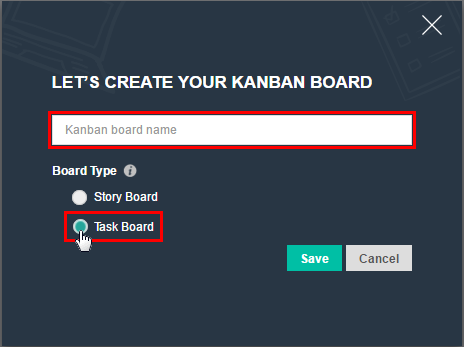 There are two different types of Kanban Boards: Story Board and Task Board. 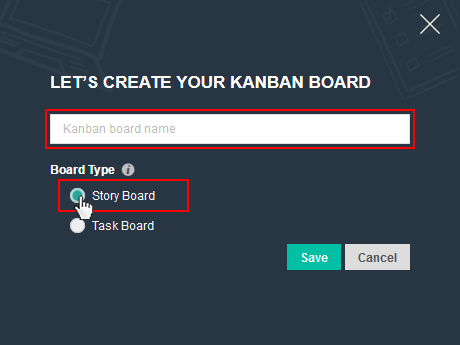 Story Board: Story Board allows the one to manage the user stories directly on Kanban Board. Task Board: Task Board allows the members to manage the board using tasks. Select the board type and manage your Kanban Board accordingly.